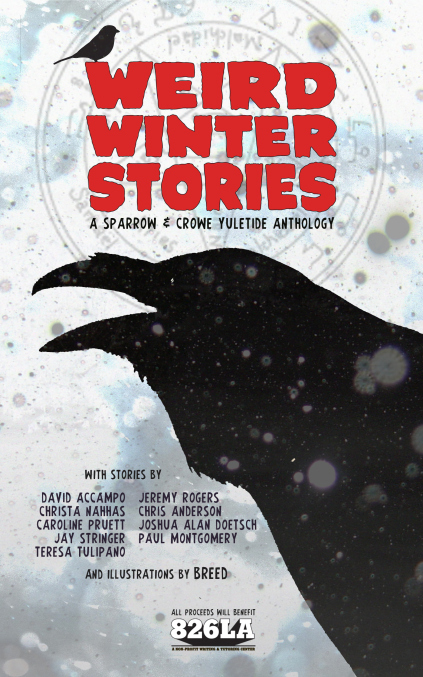 I've mentioned the writing of our resident Age of Conan scribe, Joshua Alan Doetsch, before, and you can now catch his contribution to a new collection of Weird Winter Stories. What's more, it's all in a good cause. The proceeds are all going to a charity 826LA, which is a non-profit organization dedicated to supporting students ages 6 to 18 with their creative and expository writing skills, and to helping teachers inspire their students to write. You can find all the details here over on his blog.